- per Goodreads, my actual total came to 231* books read, 161 of which were children's books. I am not counting these in the below stats. *statistic is probably slightly lower than reality given I did not start counting re-reads of children's books until the middle of the year. Of the book I read, 8 were audio books, 15 were trade paperbacks or hardcover books, and 47 were e-books. 11 of the 70 books I read in 2017 were written by men. 58 of the 70 books I read were written by women. 1 of the 70 was written by both male and female writers. 36 of the books I read in 2017 were written in 3rd person point of view. 32 of the books I read were written in 1st person. 2 of the books I read was a mixture of both 1st and 3rd person. 1. Favorite Reads in 2017? The Tea Girl of Hummingbird Lane by Lisa See ~ This was the first book I finished reading in 2017, and it was quite a way to kick off the year. Lisa See is among my favorite authors, and this book is the perfect example of why. Monstress, Volume One: Awakening by Marjorie Liu & Sana Takeda ~ I enjoy graphic novels from time to time, and this one has really stuck with me. The world building is intricate and rich, the artwork beautiful, and the story is not only compelling, but complex and thought provoking as well. The Handmaid's Tale by Margaret Atwood ~ "What a beautiful and sad book" opens my review of this remarkable book. Written in 1986, it seems eerily relevant today. The Handmaid's Tale is a powerful and thought provoking novel that accentuates how easily human rights and freedoms can be stripped away in the name of protection and "high morals" even in our modern world. The Hate U Give by Angie Thomas ~ This is a very relevant and timely novel that feels so necessary in opening and continuing discussion not only about police shootings, but also--and especially--about race relations. It is also about the bonds of family and community, about self-identity, friendship, and so much more. I think everyone should read this book. 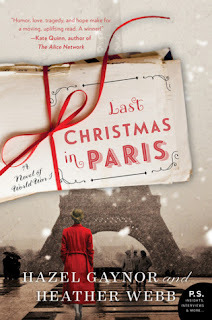 The Last Christmas in Paris by Hazel Gaynor & Heather Webb ~ I love historical fiction, and I especially loved this epistolary novel set during World War I about a soldier on the front line and a young woman desperate to find her own role in the war effort at home. I felt a part of their story--right in the middle of the horrors of war, including the helplessness and violence, the fear and grief, as well as seeing the friendship and love grow between them. I hated to see the book end. 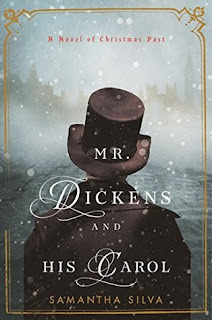 Two books come to mind, both of which I enjoyed in actuality, but did not love the way I hoped. High expectations? Was it just me? Maybe. Regardless, I eagerly dove into both of these two very different books and came away when finished feeling a bit disappointed I had not liked them more. They are These Violent Delights by Victoria Namkung, a novel about sexual abuse in a boarding school, and Peter Swanson's The Girl With a Clock For a Heart, a noir mystery about a man who cannot say no to a mysterious former girlfriend. 3. Second Chance Books Or Authors That Still Didn't Fare Well? I thought perhaps the audio version of Aldous Huxley's Brave New World would go down better. My several previous attempts to read the book had always ended in utter failure. Well, I finished it. I can now say I read it in its entirety. And I still didn't care for it. I had the opportunity to give David Sedaris another try when his book, Holidays on Ice, appeared in the mail one day. I was unable to finish the first book I attempted by him. While I at least finished this one, I have come to the conclusion that this author and I are not a good match. 4. Book I “Pushed” The Most For People To Read? While I would like to think I convinced people to read many of the great books I read in 2017, The Hate U Give by Angie Thomas is the one I recommended the most. I might have even told a few people they "MUST read this book." If you haven't, I think you should too. 5. Best series I started in 2017? I keep telling myself I need to catch up on my series reading before starting a new series, but I rarely listen, and 2017 was no different. I started (or jumped into) a number of series, and am already hooked with just one book. These three in particular stand out as favorites, although there were several others I plan to continue as well. The Book Club Murders by Leslie Nagel was such a fun cozy with a good mystery and a dash of romance mixed in. I quite enjoyed my time with Charley and Marc. It was thanks to my husband that I read Ancillary Justice (Imperial Radch #1) by Ann Leckie, which fascinated me given the nature of the main character. I am eager to jump in and read more in the series. Death Below Stairs by Jennifer Ashley was my final book of the year and what a good one it was! I adore Kat Holloway, a cook living in Victorian England, and cannot wait to read more of her adventures. 6. Favorite Authors I Discovered in 2017? Melody from M.R. Carey's The Girl With All The Gifts. If you have read this book, you understand why. What a smart and amazing young girl and a heartbreaking story! 8. Author or Series I Binged On This Year? I read seven books by Juliette Cross this past spring, many of which were novellas. I read what books I could find in the Vale of Stars series as well as The Nightwing trilogy. I could not help myself. I was addicted to the fantasy world Juliette Cross had created in her Morgon world. I followed those up with the first in her new vampire series, The Black Lily, which I also enjoyed. 9. Most Thrilling/Unputdownable Book of the Year? I read a number of hard to put down books in 2017, but without a doubt Shadowed by Karen E. Olson earns the spot for this category. Right from the first page, I found it impossible to put this book down. It was one tense moment after another as the main character tried to keep one step ahead of the people chasing her. 10. Top Five Favorite Covers of Books I Read in 2017? 11. Book I Can’t Believe I Waited UNTIL 2017 to Finally Read? It took me forever to finally get around to reading these two gems which had been sitting on my TBR shelf for a long while. I was motivated to read Susan Cain's Quiet: The Power of Introverts in a World That Can't Stop Talking along with another book blogger as part of a read-along, and am so glad I did. I was determined to read Marissa Meyer's Cinder this year and, thanks to all of you who voted in my October TBR List poll, I did just that. Thank you! 12. Shortest Book I Read in 2017? 13. Longest Book I Read In 2017? 14. Best World-building/Most Vivid Setting I Read This Year? I think my favorite aspect of Uprooted by Naomi Novik is its tie to folklore, however the world building, particularly that of the live forest especially intrigued me. Novik has created a rich world that I lost myself in as I was reading. 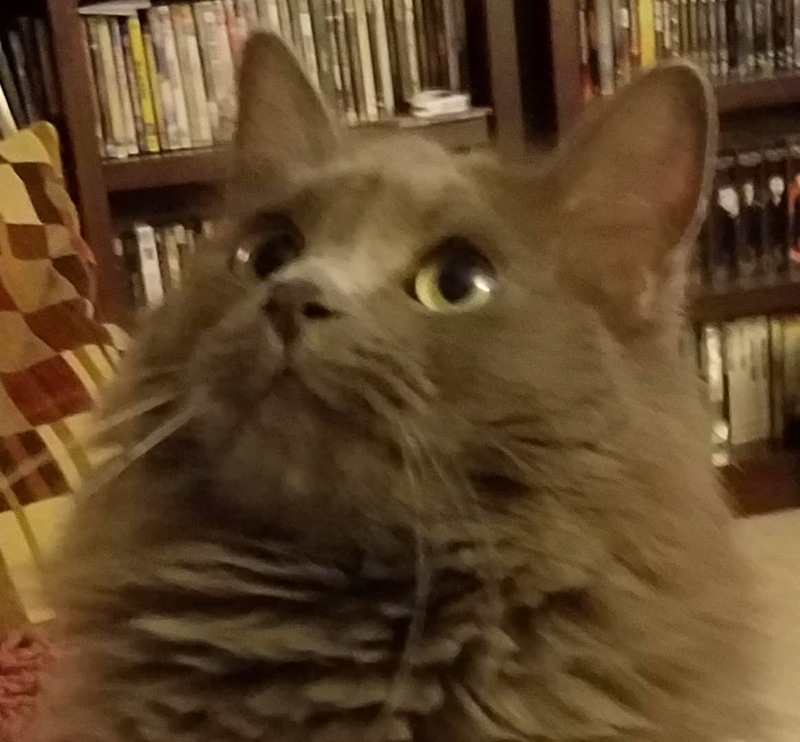 I cannot help but also mention LaRose by Louise Erdrich, which was half a point shy of being a 5 paw read for me. Erdrich's writing is beautiful. She drew me in, and I could feel what her characters were feeling and experienced what they were going through so vividly. It took me awhile to recover after finishing LaRose s a result. 15. Character I Would Most Like to Cook For Me? Oh, how I wish I could hire someone like Mrs. Holloway from Jennifer Ashley's Death Below Stairs to cook meals for my family. Not only is she a hard worker, but she sounds like a delicious cook. I wouldn't mind spending time chatting with her in the kitchen either. For pastries and desserts, however, I would insist on having Polly Waterford from Jenny Colgan's Christmas At Little Beach Street Bakery on speed dial. 16. Book That Put A Smile On My Face/Was The Most FUN To Read? 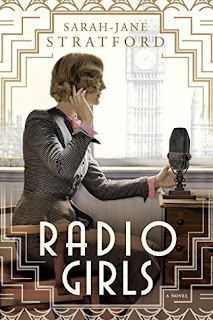 Radio Girls by Sarah-Jane Stratford was such a fun and entertaining read. Not to mention a look into the the early days of the BBC, including the life of Hilda Matheson (a side character, perhaps, but a fascinating one especially as it is based on the real life woman). I would love to know what your favorite reads of 2017 were! Please share a link to your favorite's list below if you posted one--or just tell me in the comments. Did we read any of the same books? If so, what did you think? Two thousand seventeen was the year of mostly escapist reading as the world outside of books seemed to spiral downward: violence, uncertainty, anger, frustration and grief filling our reality. The end of the year was especially looking pretty grim on the personal front, having to say goodbye to my dear Parker, work related stresses, health issues, and my mother's cancer returning. But then there was light. My mom's first surgery was a success and her prognosis is good. She still has another surgery and radiation to get through, but we are optimistic. My husband ended the year with a job promotion, which is great news for our family. In 2017, I read more romance novels and cozy mysteries. I ventured into science fiction, a genre I had long neglected, and I turned to humorous and inspiring nonfiction. I continued to read inspiring fiction, reading books by new-to-me authors as well as old favorites. I refrained from joining any reading challenges, wanting instead to read at whim. I took part in very few book tours--and felt great freedom in that. While I still reviewed books via NetGalley and the occasional author or publisher, I felt less tied to any deadlines. I also was gentler with myself when it came to my blog. I gave up following my stats years ago, which in and of itself lifted a lot of stress off my shoulders, but I still feel bad (and guilty) when I fail to post regularly or stay on top of comments--or even reciprocate comments. As every book blogger knows, however, life does get in the way sometimes, and sacrifices have to be made. Keeping that in mind and giving myself permission to start where I was instead of always trying to catch up when I got far behind helped with my guilt considerably. In 2017, I began tracking the books I read with my daughter, which gave a huge boost to my Goodreads reading total. My daughter and I enjoyed exploring a variety of children's books together, some new and others classics. I published 177 blog posts. September was my most prolific month with 24 posts, and July was my slowest with only 5 posts. It was the third year of my Going Postal Mail Club, and it was another successful one (and it is still going--one more round to go for this cycle because of a late start). Each member selects a book and mails it along with a journal to their specified person on the club member list. We have two months to read the book, journal our thoughts, and then we mail the book to the next person on the list. Like in past years, the books chosen were not necessarily ones on my radar, and some were even ones I would have passed over completely otherwise. That is part of the fun of being a part of a group like this. In 2017, I continued to take part in Michelle's My TBR List Meme at Because Reading, enlisting your help in choosing one book each month to read. I really enjoyed having you take an active part in selecting what I would read. It can be difficult to choose on my own with so many choices. You wouldn't believe the amount of time I can waste in deciding. Or maybe you can . . . I am grateful to Michelle for coming up with the idea. I plan to continue to participate in the meme in 2018, and hope you will join me! I always find when I look back over my year of reading, it seems like so long ago I read many of the books. Was it really just this year? It was a long year overall, although my reading was fairly steady. Overall, I think it was a good reading year. I read some exceptional books. In 2017, I took on a word to define my year: Create. I had high hopes and big plans. I wanted to write more and explore my creative side a bit more, applying my word to my work and personal lives. It was my only real goal, you could say. I may have blogged slightly more, but ultimately, my word got lost and forgotten somewhere along the way. Instead of feeling bad about it though, I am of the mind that it just wasn't meant to be. I have tossed the idea of finding a new word around, but I think I will leave that for others who are more motivated and up to the challenge. Throughout the year, I made some new book blogger friends and enjoyed spending time with my older ones. I tried out new memes, posted reviews, and added pages and pages of books to my wish list. You, my readers, helped me through the roughest of times this year and celebrated my joys right alongside me. You are all amazing and wonderful people. I am glad to be a part of the book blogging community. Thank you for your support and for taking the time to visit me here at my little spot on the internet. I am excited to see where my reading will take me in 2018. Several authors whose work I enjoy have new books coming out, and I always enjoy my time spent with you all. I am hesitant to come up with reading goals as I tend to rebel against them once they are in place. It is that feeling of obligation that creeps in if I am not careful, I think. Still, I am setting some simple ones for 2018--rather loose ones so that I do not feel too pressured. Early in 2017, I had joined the Classics Club, committing to read 50 classics within five years. I have only read two that qualify to date. I would like to spend more time reading the classics on my list this year. I have some really fun ones to get to, and am feeling hopeful I can motivate myself to read them. Complete the #COYER Winter Switch Challenge. Complete the What's In a Name Challenge. Complete as many categories as I can in The Grand World of Books' Book Bingo 2018. Complete as many categories as I can in Unruly Reader Book Bingo. Complete the Witches and Witchcraft Reading Challenge (sign-up post pending). Read at least one chunkster (500+) pages I have been putting off (the key here being one I have been putting off). Catch up on at least two favorite series (I'm leaving it open, but Sue Grafton's Kinsey Milhone series is at the to of my list). Increase the number of audio books I listen to. I have not ruled out joining another challenge or two, but for now I am content with just the five, which sounds like a lot, but it really isn't when you consider the challenges I have signed up for. I am thinking of starting a bullet and gratitude journal to help me with productivity and organization. Will it simplify my life or be yet another distraction, I wonder? I think it might be beneficial in some respects, so I may give it a try and see how it goes. Admittedly, my ideas of what I want to include might already be going a bit overboard . . .
My family and I will be bringing in the New Year at home, probably bringing in the New Year with the East Coast and turning in early. We will be celebrating with sparkling cider and sundaes. And banging the pots and pans at 9:00 p.m. on the dot, wishing each other a Happy New Year. I wish the same for you. May 2018 be filled with light. Happy Reading! 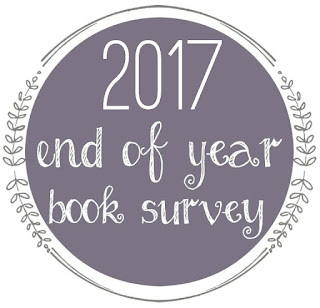 How did your reading year shape up in 2017? Do you keep a bullet journal? Is it working for you? I wish you all a productive and wonderful New Year! The Hate U Give is one of my favorites from 2017 too. I need to read the new See book. I love reading all these stats and need to do a better job keeping up with my own. Kathy - I wish I could get everyone to read The Hate U Give. I hope you do get a chance to read See's new one. It's really good! Thank you for always taking the time to comment, Kathy. It means so much to me. Have a Happy New Year. That Hate You Give was wonderful - my 14 year old niece and I had a great discussion about it last week. Hope to read the new Lisa See novel soon. Happy New Year! JoAnn - I am so glad you and your niece enjoyed The Hate U Give. I hope my daughter will read it one day. Do read the Lisa See book when you get the chance. It's really good! Happy New Year to you too, JoAnn! I love seeing people's stats about genres and authors and whatnot. So interesting! And I'm glad you found some amazing books! I've heard of Monstress and been told I should read it, so I just may have to give it a try. I'm also glad to hear you had some good family news :-) Good luck with your goals, and Happy New Year! Kristen - I always get ideas from others' stats of what I should be keeping track of. LOL It was a good reading year for me overall. I hope you get a chance to read Monstress! Have a Happy New Year! Kay - Thank you! I joined the Classics Club this last year and didn't make as much progress with it as I hoped. I'm looking forward to exploring more on my list this year though. Thank you for your kind thoughts for my mom. It means a lot. Have a Happy New Year! What a great post to wrap up your year! I also had The Hate U Give as a top book, and one of my favorite Audiobooks. I finally read The Handmaid's Tale this year too! We have lots of authors in common that we have read. Cheers to a great year of reading for you in 2018! P.S. I love your cat theme, my feline friend helps me read lots of books by sitting on my lap and making sure I read until he decides its time to get up! Cori - Thank you! The Hate U Give was such a good book! I hope you have a great reading year in 2018 too! I love your cat already! My Parker was a lap cat and would settle on my lap as I read. I miss that so much. Have a Happy New Year, Cori! Thanks for visiting! I love some of these year end questions and may borrow a few for my yearly post. The Hate U Give was on my hold list, but the library had a computer glitch and lost all the holds. Will go back on it. Also want to read the Lisa Sees book. Wishing you joy in this New Year. Nise' - I hope you get to read both Thomas and See's books. They are very good. :-) I hope you have a Happy New Year! Geybie - Thank you! I wish I could take credit for it, but Jamie is pretty awesome. I hope you have a Happy New Year! Sounds like a pretty good reading year for you. Wow!! And I definitely need to check some of these out ASAP. Happy New Year Wendy! Here's to even more reading! Maureen - It was a good one. I am excited about getting to some books I haven't had a chance to in this coming year. I hope you have a Happy New Year! That's a really good year of reading! But I hope that 2018 is even better. :D Happy New Year! Lark - I think so too! I hope you have a very Happy New Year! You had a great reading year, Wendy! 70 of your books plus all the books that you read with your daughter is a really impressive total. I still need to listen to your advice and read The Hate U Give. Happy New Year! Carole - Thank you! The children's books really add up. :-) I hope you do get a chance to read The Hate U Give. It's worth it. Happy New Year, Wendy! I loved reading this post and thank you for sharing your year in reading. Congrats to your hubby on his promotion. That is a great way to start off the year. I hope this one will be fabulous for you! Iliana - Thank you and same to you! Hopefully the year will continue to be a positive one. You read some great books this year ! My co-blogger read and liked The Handmaid's Tale, have you seen the show ? Kat - Thank you! It was a good year in books. I look forward to seeing what 2018 holds for all of us. Happy New Year, Kat! I am listening to The Hate U Give on audio right now. Seeing it on lots of posts and I am enjoying it! Kelly - I am glad you are enjoying The Hate U Give. I hear the audio is really good. Have a Happy New Year! The Hate U Give is my most recommended (and probably my favorite) book of the year, too. I'll be re-reading it (although I'll probably listen to it) this year as my book club will be discussing it in November. Melinda - I was thinking I might re-visit The Hate U Give in audio too. I hear the audio is excellent. Donna Marie - Thank you! I hope you have a Happy New Year too. Monstress was so good! I can't believe I forgot about it! And I agree that Melanie from The Girl With All the Gifts is an amazing character! Looking forward to reading more reviews from you this year! Eustacia - I loved it. I have the second volume on my nightstand to read. I kept wishing I could give Melanie in The Girl With All the Gifts a hug. I hope you have a great New Year! I love these end-of-year posts. I also agree with you about reading more escapist-style fiction in 2017 than ever before. I definitely read more fantasy than I ever have before. Suzanne - i love reading these types of posts too. Here's hoping for a great 2018 in books (and life)! I discovered Hazel Gaynor this year too and plan on reading every book by her I can get my hands on! I've got Death Below Stairs coming up later this week and am so excited. It looks fantastic. It has been a tough year and I'm a big fan of escapist reads as well. Happy 2018! Katherine - Same here! I can't wait to read more by Hazel Gaynor. I hope you enjoy Death Below Stairs. It went in a direction I wasn't quite expecting, but I loved it. Happy New Year to you as well! Clearly, I need to get to The Hate U Give! Lisa - Yes, you should. :-) I hope you like it if you do read it. I enjoyed reading this post, Wendy. 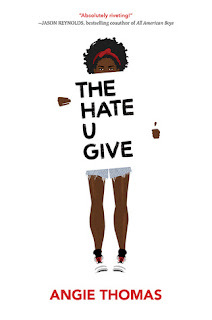 So many books to add onto my wishlist and of course, I'll have to read The Hate U Give given that this book has received so many rave reviews and that it has been sitting on my TBR pile for a while. Melody - Thank you! I hope you get a chance to read The Hate U Give. It is very good! Thanks for visiting! I love your year-end post! You've inspired me to write a kind of life reflections post for the year, which I haven't done before. I am glad your mother's prognosis is good and congratulations to your husband! My biggest reading focus this year is my NetGalley mess. I've joined about 10 year-long challenges, several of which overlap and double up. And then I have my BINGO ones just for fun. Charlie - Thank you on all counts! Hopefully this will mean 2018 will be a better year for us. I need to focus on my NetGalley mess too. I hope to focus a lot of my challenge reading on those reads, but we'll see. I think I'm still in denial. Haha. Have a Happy New Year, Charlie! I've got The Hate U Give in my TBR pile (as soon as I pick it up from the bookstore). I'm looking forward to reading it. Lloyd - I hope you enjoy The Hate U Give when you read it! I hope you have a Happy new Year as well! I apologize for just getting here and seeing the news about your mom. I feel terrible for not sending my well wishes and hugs earlier. Hugs to you and your mom. As for your list Hate U Give made my top 10 too and thanks for reminding me that I need to get to Karen E Olson's series. Stacy - Thank you, Stacy. I wish the recent news had been better as she now needs a third surgery to remove the remaining cancer. I am really enjoying Karen E. Olson's latest series! I hope your New Year has gotten off to a good start!